Love great food, good times - oh, and free stuff? Then yes, you're so meant to be a Head Honcho. Let's make it official. Sign up for first dibs on Head Country news, exclusive offers, and free swag. 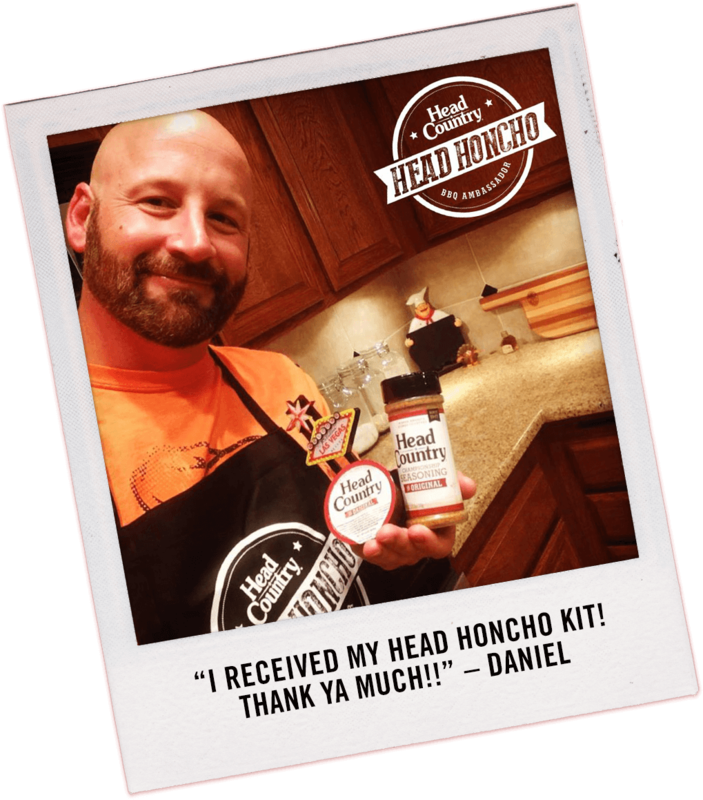 Share awesome #HeadHoncho content and you may even be our "Head Honcho of the Month." Ready to join the coolest club in BBQ? Sign up here! Use the hashtag #HeadHoncho to proclaim your love for all things Head Country. Share all of your BBQ pics and recipes with your friends and we’ll keep an eye out for the best of the best. The Head Honchos’ photos and videosÂ that makes the cut will be featured on the official Head Country Facebook page once a month so that everyone will know just how much of a Head Honcho you really are. Be on the lookout, there will also be lots of chances to win Head Country sauce and swag!